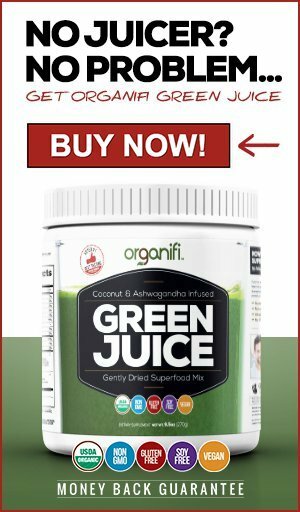 Are you looking for pollen allergy remedies that really work and fast? Are you suffering from pollen allergies and are the symptoms making your life a misery every spring? This article will introduce you to ayurvedic home remedies that work providing fast relief for allergy sufferers. Are you suffering from headaches, runny nose, swollen eyes and itchy throat? The chances are that you have pollen allergies and they make your life a misery as soon as the trees and flowers start to bloom. Antihistamines are the most common over the counter medication and they work by calming your body’s immune system reactions against allergens, such as tree pollen. They however tend to make you drowsy, give you rash and even cause weight gain. Ayurvedic medicine has several allergy remedies that work fast, are safe even for small children and pregnant ladies and have no side effects. Our immune system can effectively fight toxins, bacteria and viruses which are a threat to our health. That is if it’s working optimally, when out of balance, it can react too strongly to some environmental substances, such as tree pollen, animal dust or mold. This reaction wil cause our body to act wanting to get rid of what it recognises as a threat to our health, causing an allergic reaction due to the excessive release of histamine chemical. Histamine in it’s turn can cause sneezing, nasal congestion, coughing, watery eyes, eczema flare and lead to more serious things such as asthma attacks. Nettle is often considered as a weed, but it really is a wonderful herb, which many amazing prooven anti-inflammatory properties. It also strengthens our immune system in general. A tea or tincture made from it’s leafs reliefs the allergy symptoms of watery and itchy eyes, sneezing and runny nose. You can also make a soup out of it or use in many dishes instead of spinach. However nettles are best not eaten raw due to their sting! 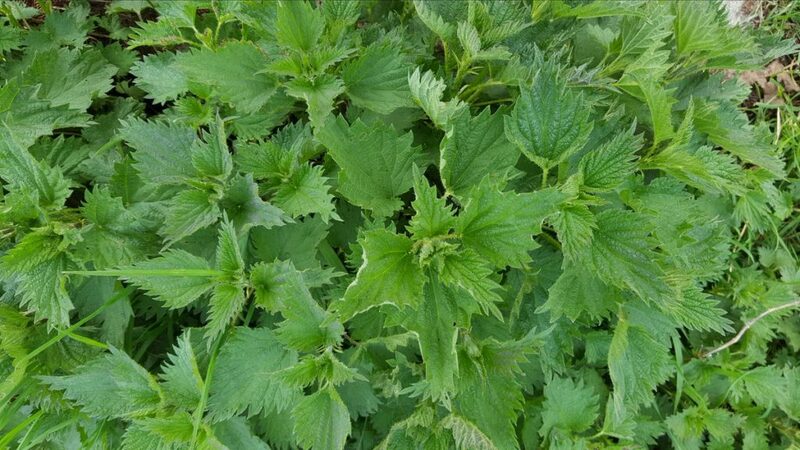 For any type of remedy, you can use the nettle leaves either fresh or air dry them. Only collect young leaves at spring before the plants flower. HOT TIP! If your eyes are itching and watering badly, you can wash them out with small amounts of fresh milk, which will ease the redness and itchiness almost immediately. 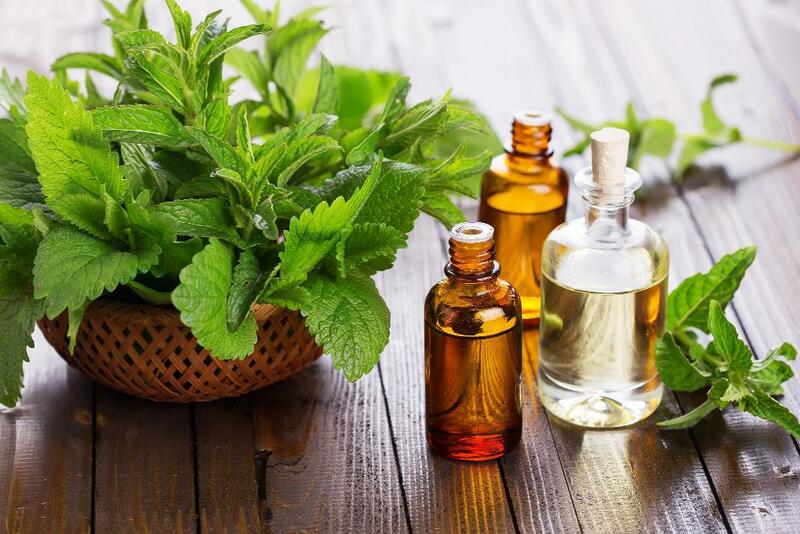 Peppermint has many wonderful abilities and can be used as a tea, essential oil or a tincture. It contains flavonoids that inhibit the activity of anti-inflammatory enzymes, such as histamines and therefore reduce the allergy symptoms. You can use it as a tea, drink as tincture or diffuse in an aromatherapy diffuser. It is especially effective for astma and nose and airways congestions when used with a water vapour diffuser. For more information you can read my article about different types of diffusers and find one that suites your needs best. HOT TIP! You can combine both fresh or dried nettle and peppermint leaves together in a tea, which you should drink three times a day with a spoonful of organic raw honey. Just like raw organic honey, bee pollen is made my our little busy friends! But I am allergic to pollen you might say, it will make my symptoms worse. Actually in small doses over longer time, it teaches your immune system to get used to and handle the pollen. Pollen is therefore more a long term remedy or a preventative measure, as you build resistance slowly during the winter and the spring before the pollen season starts. Buy an organic variety and add in small doses looking for any signs of allergic reaction. Just like honey, this remedy is not recommended for infants. Also do not try this remedy if you have bee allergy or experience severe astma attacks as a result to pollen exposure. Please also exercise caution with honey and bee pollen if you are nursing, as they can cause reactions in infants. Look for any signs of allergy symptoms and particularly rashes. HOT TIP! 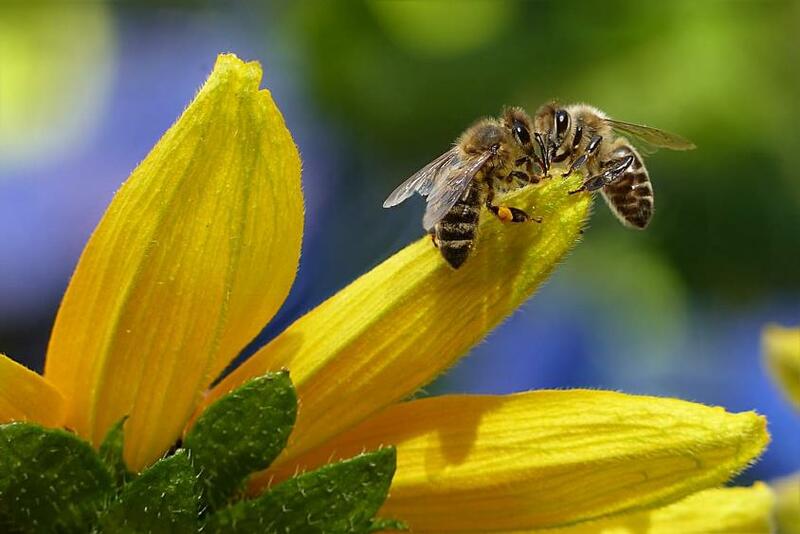 You can mix the pollen into warm milk with a spoon full of honey and drink it in the evening before going to bed. It will double as a powerful sleeping remedy. 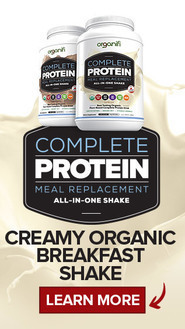 In the morning you can mix some into your serial or yogurt. 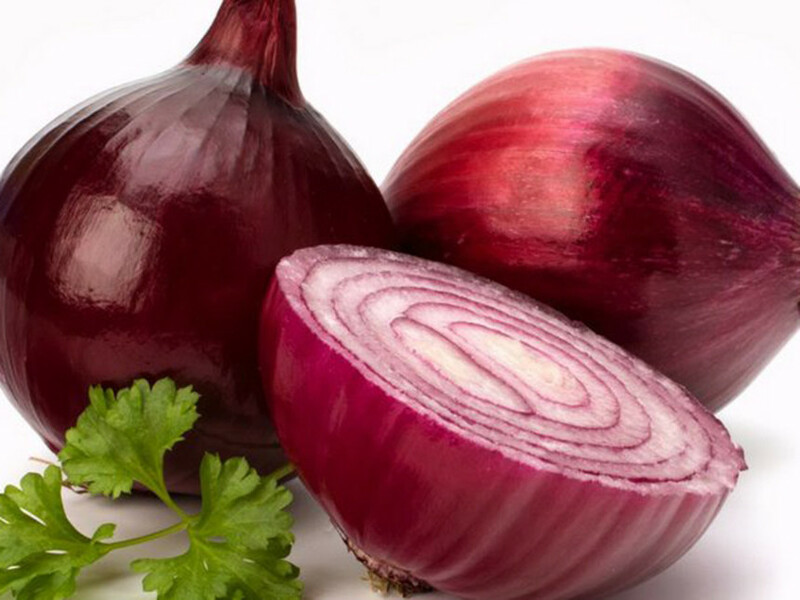 Onions are full of powerful antioxidant quercetin, which helps to calm many allergic reactions and also reliefs chronic inflammatory problems such as asthma. Quercetin also neutralises free radicals, which cause cell damage and therefore it strengthens histamine releasing cells in our body. It is absorbed into the blood stream and provide long term protection for allergies. Red onions work best for this recipe, as they contain higher quantities of this antioxidant. They are also generally milder and have less strong taste than yellow onions. You can consume onions in foods, but the best benefits are achieve, when they are eaten raw, although many people prefer not to do this due to their sharp taste. HOT TIP! Best ways to consume raw onion are as pressed juice or water infused with raw cut onions over night in the fridge. Apple a day, keeps a doctor at bay! 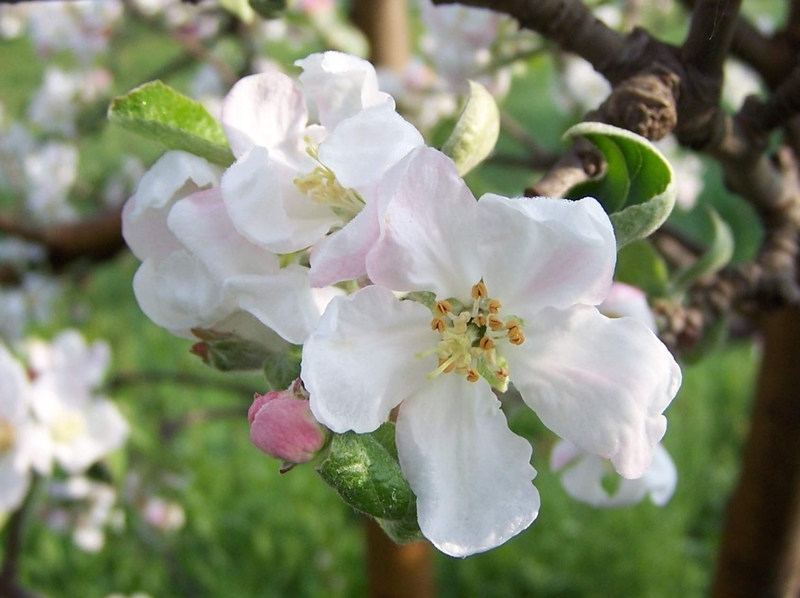 They contain pectin and vitamin C, which is very good for the immune system, making them one of the best pollen allergy remedies. You can eat them any way you want, raw, juiced or even baked into a delicious pie. But did you know can also make a delicious tea out of their flowers! You can use either fresh or air dried flowers. You can also try out my delicious apple cinnamon infused water. HOT TIP! Add a slice of lemon in your apple tea for extra dose of vitamin C or try my lime and ginger infused water. From ayurvedic point of view the sudden high amount of allergens imbalance the doshas. This causes the weakening of the digestive fire agni. We need to bring the doshas back into balance, which in turn strengthen the agni. The above remedies are tested over the years in my family, as both of my children were born with bad pollen allergies. Over the years I tested one home remedy after an other, until we got to the point where my children barely notice the allergy season anymore. 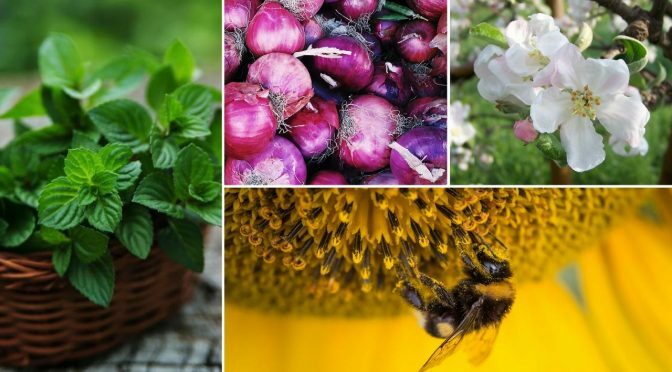 I hope you have enjoyed my article pollen allergy remedies and they will help you to get a fast relief for your symptoms. If you have any questions about remedies, have allergies or have your own suggestions, leave me a comment below.